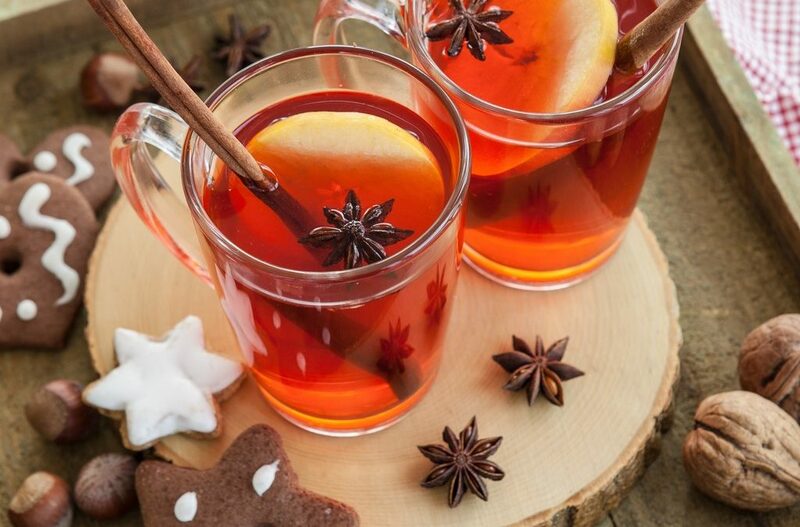 Winter months beg for hot cider! This recipe takes traditional spiced apple cider to the next level with the addition of fruit-infused cherry balsamic vinegar. It is a wonderful beverage for gatherings – easy to prepare and keep warm, and guests can serve themselves. Choose a cider with no added sugar and a good quality cherry balsamic. If cherry is not available, pomegranate is equally delicious. Cheers! Combine all ingredients in a large pot. Bring to simmer over medium heat. Reduce heat to medium-low, stir, simmering gently for 5 – 10 minutes. Ladle into cups and serve or transfer to a slow cooker, air pot or other insulated beverage container to keep warm. Option – Add ½ – 1 oz Brandy or Rum to each cup for an adult cocktail version.